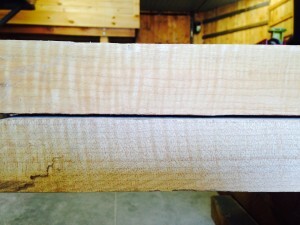 8/4 Big Leaf Figured Maple - Goosebay Sawmill and Lumber, Inc.
Just in! New batch of 8/4 Big leaf curly and quilted maple. Big leaf only grows on the west coast of the U.S. It is rare to find on the east coast, especially with nice curly or quilted figure. 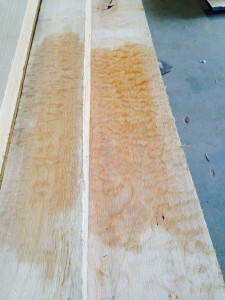 This lumber would be great for musical instruments blanks, especially guitars (acoustic or electric). Please call for more details.